A new capping rail in teak has been fabricated and fitted by DUCA Solutions' experienced yacht carpenters on the classic M/Y Grand Cru during her latest refit on the South of France. 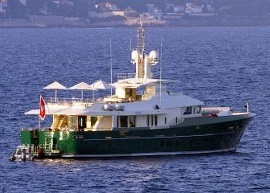 She was built in 2009 by Benetti Sail devision. 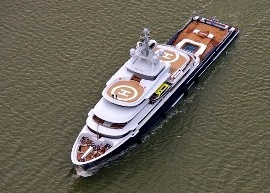 One of the world's largest dedicated luxury explorer yachts, the 115 metre superyacht Luna, constructed in 2010 at Llyod Werft in Germany, has departed the port of Bremerhaven, following the major refit. 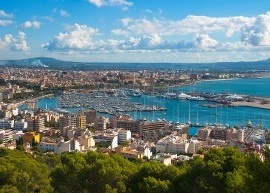 DUCA Solutions is pleased to share with Captains and Crew that we open up a teak refit center in Palma de Mallorca, Spain. Teak decks sanding, re-caulking, changing damaged planks and margins, decks replacement, teak gratings or other deck inserts, Esthec decking - all this can be now done by DUCA Solutions' professional technicians directly in Palma de Mallorca, Spain - anytime! 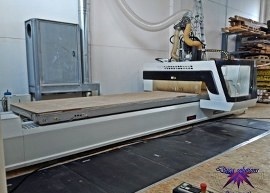 DUCA Solutions acquires a 6 meter long CNC machine for automating most of the decking production and for producing other carpentry items like teak gratings, custom floor inlays, tables top, furniture and more. CNC machine will be fully operational shortly in our Livorno, Italy factory which will result in increasing our production capacity and delivering the superior quality for our clients. I have to say I am very impressed with the quality of the workmanship and finish on the teak that you have achieved. Thank you for such a good job! Duca Solutions has been a marvelous partner for Esthec over the last 5 years. They have provided many years of installation expertise to customers choosing Esthec and are convinced on the long term future of our product. Duca's long years of experience, their attention to detail, full commitment and their customer service make them second to none in their craft !